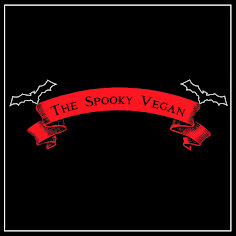 The Spooky Vegan: It's Nearly Time to Celebrate Creepmas Again! It's Nearly Time to Celebrate Creepmas Again! It's almost time to celebrate the 13 days of Creepmas and inject some much needed spookiness into the Christmas season! 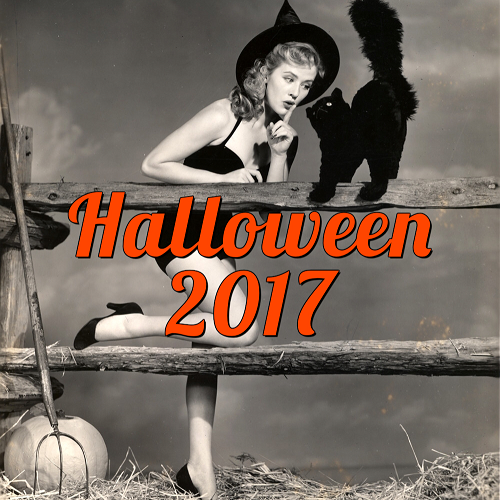 I've participated in the Creepmas blogging event since its inception back in 2011 (browse past posts here! 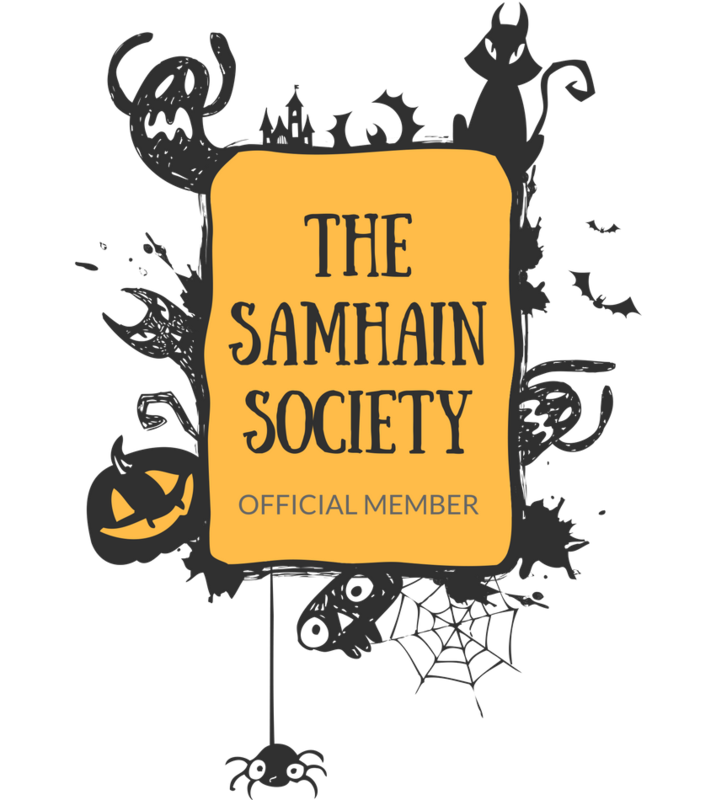 ), and I'm excited to participate again this year, along with some other fantastic bloggers! There is always room for a few more good ghouls if you'd like to participate (more info on how to participate here), and this year everyone is also invited to participate in the #MakingCreepmas image challenge as well (more info on that here!)! CREEPMAS is a good-natured push back at Retail America for trying to force Christmas down our throats as early as July. Something has gone seriously wrong with how holidays are marketed to us in the last 5 years. When you go to a major retail store in mid-October only to find they've gotten rid of all their Halloween merchandise in favor of snowmen & Santas, well, it's time to take action! Something as utterly ridiculous as Christmas trees in August deserves an equally ridiculous response! CREEPMAS is for those Halloween lovers and Monster Kids who want to say "enough is enough" - if they're going to put their Christmas into our Halloween, then let's put our Halloween into their Christmas! Tim Burton showed us that it can be done with marvelous results, and we're definitely following his lead. 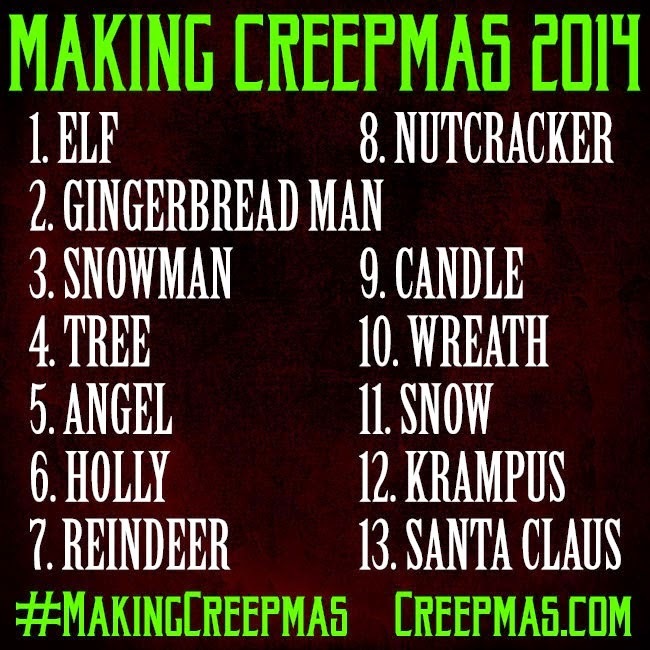 The 13 Days of Creepmas is an online Celebration of Spookiness from December 1 - 13. The idea is to bring a macabre twist to Christmas and the holidays. Get creative and post it on your blog - share your twisted yule visions with the world! 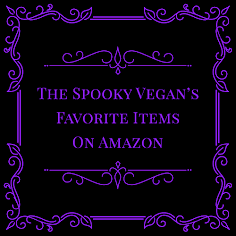 I am participating too and playing by the rules (even though I really would like to sneak a skeleton into my neighbors nativity). How did I miss the image challenge post??? Thanks for putting this up !